We always get waaaaayyyy more done at the house when we know we have an awesome meal waiting for us at the end of the day. 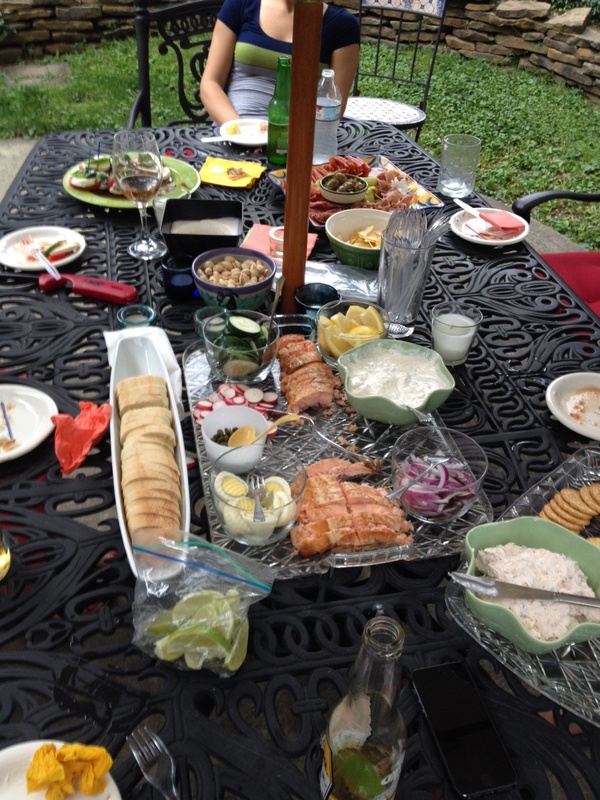 When dinner starts with a spread like this, you know it’s gonna be good. 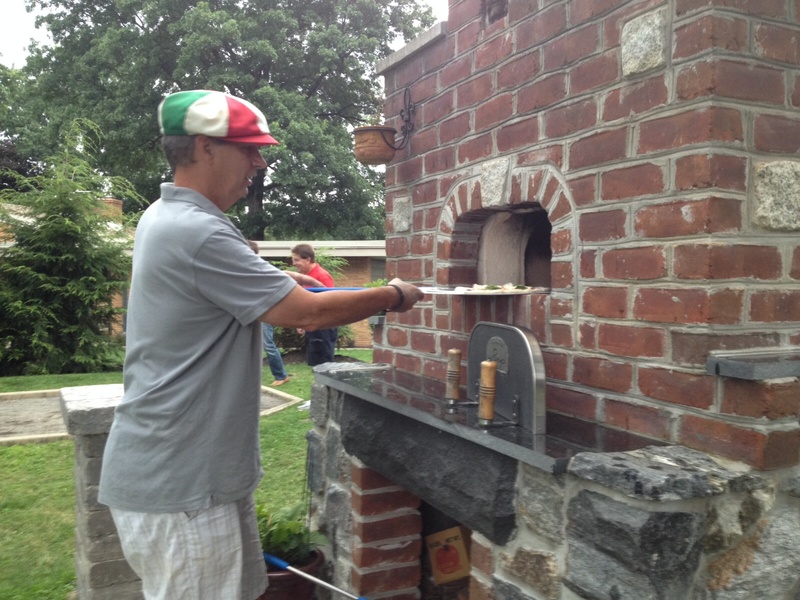 The only way it could possibly get better is if someone made you a pizza in their homemade pizza oven while wearing a ridiculous hat. 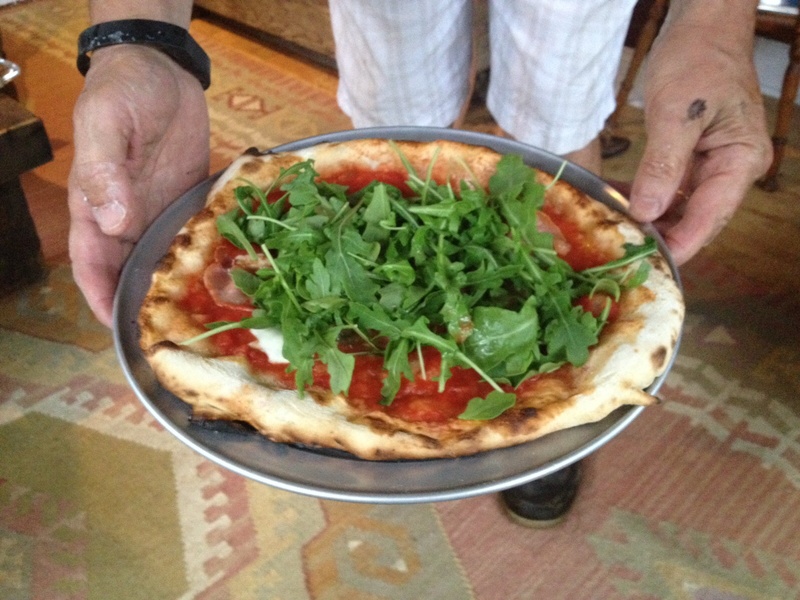 Luigi (aka Mr. Cardone) made the most delicious pizza with prosciutto and arugula. Needless to say, we drank as much as we ate because we are “glass half full” kind of people. 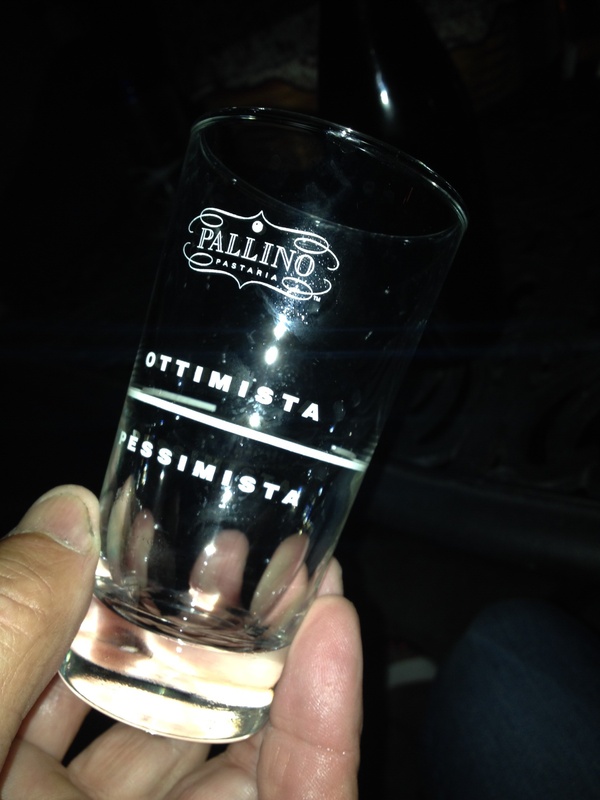 Always adhering to that glass half full philosophy makes for quite the headache the following day. But it was well worth it, my friends, well worth it.